Taking proper care of your car keeps it running longer and more efficiently. Consequently, advancements in car manufacturing requires vehicles to be less dependent on car mechanics and more reliant on technology. “Fuel prices are enough strain on the budget without unknowingly paying too much for car maintenance, “says Ellsworth Buck, Vice President of GreatFlorida Insurance, Florida’s largest independent car insurance provider. Car maintenance guidelines vary depending on the make and model of your vehicle. However, experts agree, always use the car’s owner’s manual as your guide. Listed are some long held maintenance myths you might believe that are no longer true. MYTH: Get an oil change every 3,000 miles. TRUTH: Most cars can go 5,000 – 7,500 miles before an oil change under normal driving conditions. See your owner’s manual recommendations. MYTH: Flush the transmission fluid. TRUTH: Most cars don’t require this for 25,000 – 50,000 miles. Many new vehicles use fluid that never needs replaced or doesn’t need replaced until 100,000 miles according to AAA. MYTH: Mileage boosting additives and devices. 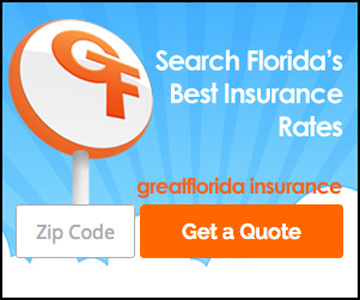 “Plenty of fuel and oil additive products claim to improve fuel efficiency,” says Buck with GreatFlorida Insurance, Florida’s leading independent car insurance agency. TRUTH: If your air conditioning is blowing cool air, it is fine. Most modern A/C systems do not require a recharge unless there is a problem with the system. TRUTH: Does your car say premium fuel is “required” or “recommended?” Edmunds reports, to reduce emissions, “most major brands of gasoline have plenty of additives in all grades to both protect engines and cut pollution.” If it is recommended and the driver gets regular, the car’s performance could suffer slightly, but no damage would be done to the engine.